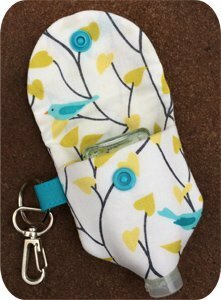 Our Hand Sanitizer Bottle Holders are perfect for everyone. 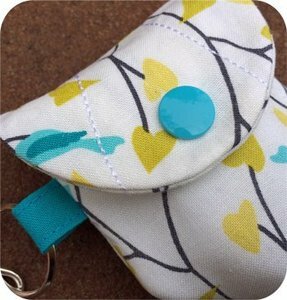 You have to stitch a simple 4.75" seam before beginning using a sewing machine. A fusible tape could be used. We can't guarantee what brands will fit inside. Bottles vary in size, height & width. 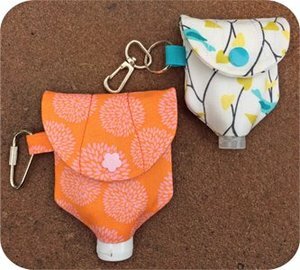 These make fun accessories to any of our great purse designs.